It’s been a while now since Google no longer lets you change domains to search and see results from countries others than your own. Yes, the incognito mode doesn’t do the work in this area anymore, nor does it when setting the no country recognition feature (as in google.com/ncr ). And this is a problem. Starting October 27, 2017, Google shut off the possibility of getting results from a global point of view, in the pursuit of making search results even more local and relevant. As always, Google played their best yet (sometimes) uncomfortable card: delivering the best results possible. Many hope things are not lost for good and run right to Settings aiming to select a country service they’re most interested in. We did it too. Yet results still come from your country IP, leaving us with the question of “what’s there to be done in order to get the ranking data we need?”. This change doesn’t only affect the desktop version, but it also applies to mobile searches, as well as to Google Maps and the iOS Google app. The action of manually checking your rankings is not what it used to be anymore. Similarly to the above-mentioned update, Google launched a couple of other major updates in the past that paved the way for today’s reform in search engine results. Chronologically speaking, these two are known as the Pigeon Update and the Possum Update. In short, the Pigeon Update was meant to help the engine provide a more useful, on-point, and true search results to such extent that it changed the way SEO practitioners do business locally. Launched on July 24, 2014, the Pigeon workings were meant to filter all local results, remove inorganic ballast, and deliver you the closest businesses to your location. By improving their parameters in terms of distance and location, Google was set to make the local SERPs experience a better one. 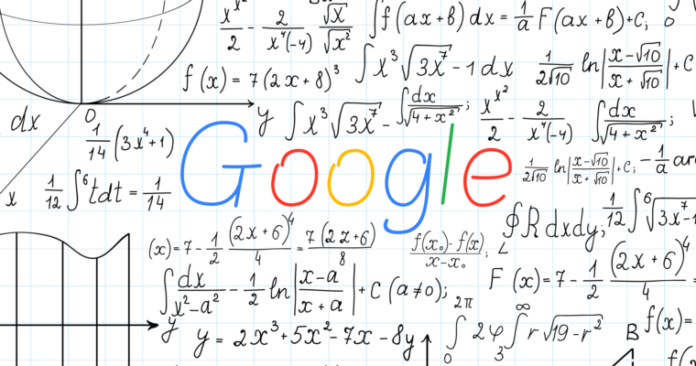 Thus, we could say that Google had a thing for local results since a long time ago, slowly but surely moving towards today’s bulletproof algorithm and search environment. Although an unconfirmed update, Possum was documented by major SEO professionals in the industry who confirmed that Google rolled out an algorithm change, one that significantly impacted local results and local listings. The massive local update happened on September 1, 2016, changing the way local search rankings worked. Possum is one more evidence that Google was slowly steering to better the local search results experience, eventually getting to today’s environment where you’re bound to manually monitor rankings at a local level only. How many of you noticed that we’ve repeatedly used the term “manually” when talking about rank monitoring? It’s because yes, all these Google updates launched over the years turned our manual rank checking upside down. Yet, there’s hope. In hard times like this, you still wish to rank on the first SERPs of every country. Maybe you have a business in Ireland, but you have the offices in the UK; therefore, it would be impossible to accurately check your ranks. To answer the needs, many rank tracking tools have emerged on the market and lend a helping hand to professionals in their fight of monitoring their activity across the Internet. 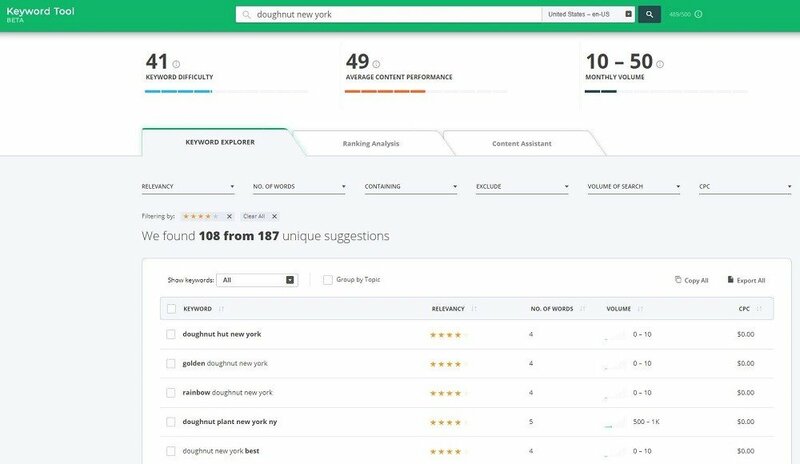 Should you check keyword ranking on a particular market, the Rank Tracking section available in the cognitiveSEO allows you gain deep insight into it by taking simple steps. All you need to do is to go to Add Keywords, select your desired location and search engine, decide whether you need local rank tracking and new keyword suggestions to track, and then hit the Track Keyword Now tab. 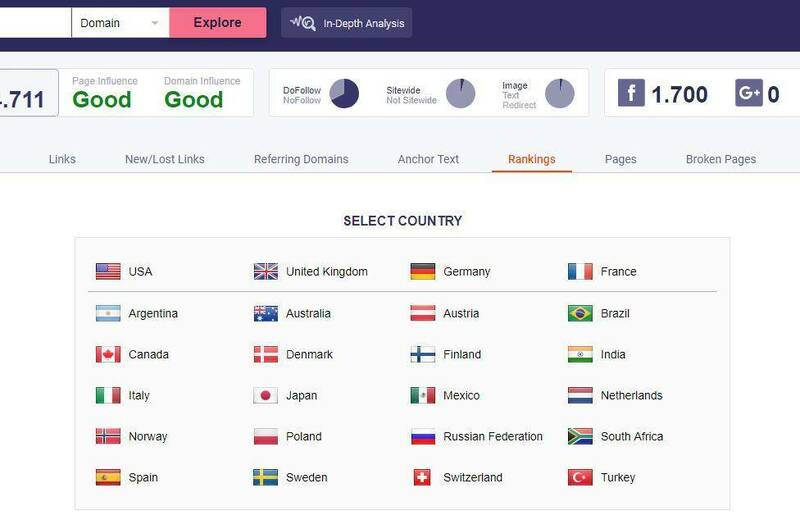 You can also do it by going to Site Explorer, enter your or your competitor’s website, run the Rankings section and select the desired country. That’s it, now you can see what are your top 20 keywords in that particular location, what pages target those keywords, and the position that page sits on in SERPs. The Google Hummingbird search algorithm is meant to bring more accuracy to Google searches and since the launch date on September 26, 2013, it systematically sought to understand the intent of the user. Many times, one can type the word, say, “horse” in the search bar and hit enter, waiting to be fed with the information one needs. Google will always approximate the intent behind your search, no matter how short or long the word you entered is, and therefore deliver results which, sometimes, will not cater to your needs. By striving to deliver more relevant results, Google is often missing the point of the query. Targeting the intent of the user and offering them results based on intent and not the exact keywords means rewriting the users’ keywords. For instance, when searching for “brown sugar”, you’d expect to find basic information about it such as definition, product specificities, how it’s made, origins, you know, the Wikipedia kind of stuff. However, you’ll get a variety of information all reading “Google is trying their best to guess what exactly you need to know about it, what exactly you’re searching for”. 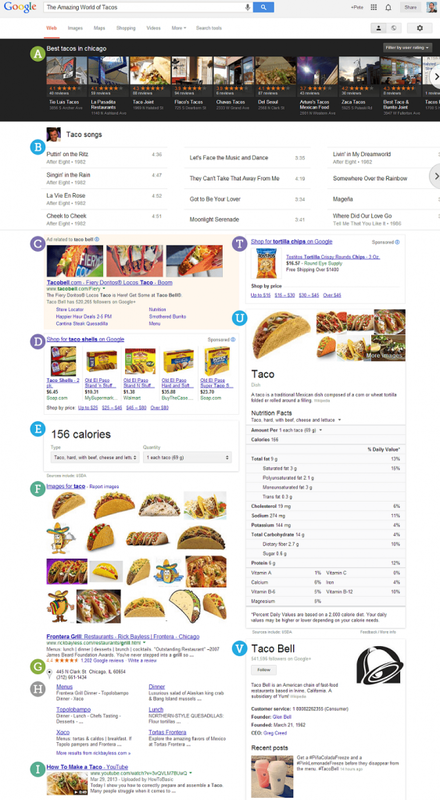 Results range from product information, nutritional facts, answer boxes, all-time music hits, to recipes, various uses, how-to guides, and blockbuster movies. Keywords are not dead yet; no, not in the least. And you can still build your rank tracking strategy on them, oh yes! One smart move would be to monitor long tail keywords or queries. This way you’ll make sure you filter out all the irrelevant stuff that might occur when you’re doing rank monitoring. Google will feel compelled to deliver you straightforward results instead of guessing your intent and then displaying possible results back at you. 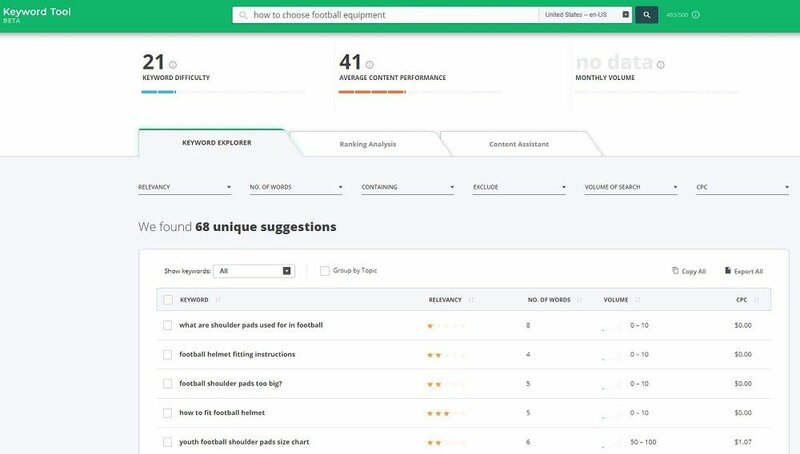 For example, if you’re in the football equipment industry, besides the main keyword “football equipment”, you could also check long tail keywords such as “what is the best football equipment”, “how to choose football equipment”, “football equipment for sale”, so on and so forth. Go for tracking keywords that users would normally search for. But how to do this? Simply use the Keyword Tool & Content Assistant and get all the keyword research you need. All keyword listings and suggestions come from search engine historical data, plus Google suggestions and autocomplete. Basically, we should all be working with the set of keywords that users are actually typing in search engines and use them in our content by crafting something that would answer all their needs. Bonus card: spy on your competitors, look at their status with a keyword ranking checker, see what they failed to deliver or where they didn’t satisfy the users, and bring something valuable yourself. This will definitely draw them to you. Rumor has it that ranking on top position is not relevant or good enough any longer. How come? Well, this happens with all the additional elements Google adds in response to a query. Local carousel, local knowledge panel, advertising and paid results, Knowledge Graph features, vertical organic results, mark-up data, and many others strive to give just a bit more information to the user and trigger their interest on a particular topic, many times in addition to the targeted results. If we were to take into consideration the multitude of things displayed on SERPs when hitting a search, we definitely wouldn’t score top 10 on the first page. 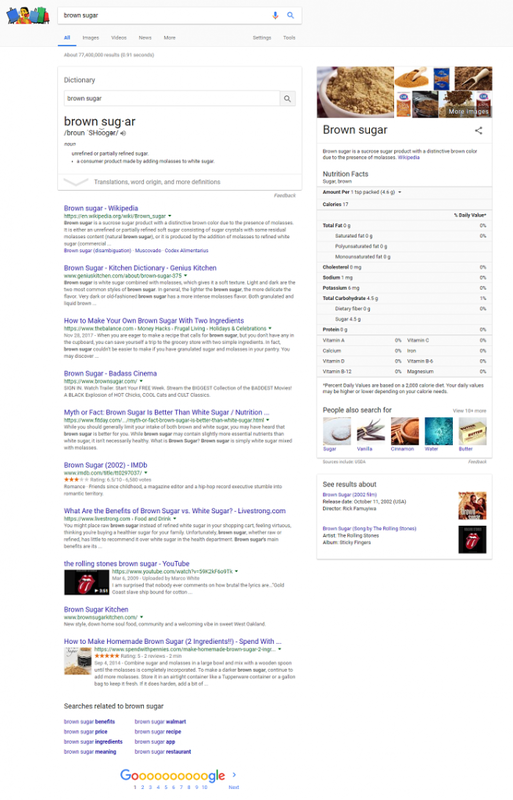 This is how a SERP usually looks like. It’s true – we can widen our knowledge with loads of information at a time and yet, the multiple data display can defocus and annoy users, making their search even more sinuous. Simultaneously, important web pages drop on the second result page, although being in top 10. As Matt Cutts said in the aforementioned YouTube video, search engines will pick up the web page or site that has the most relevant, frequent and smart-placed keywords in their content. We all know that keyword stuffing is a big no-no in the SEO game, therefore it doesn’t mean you should fit as many keywords as possible into your bodies of text, but rather do a more granular and detailed research. 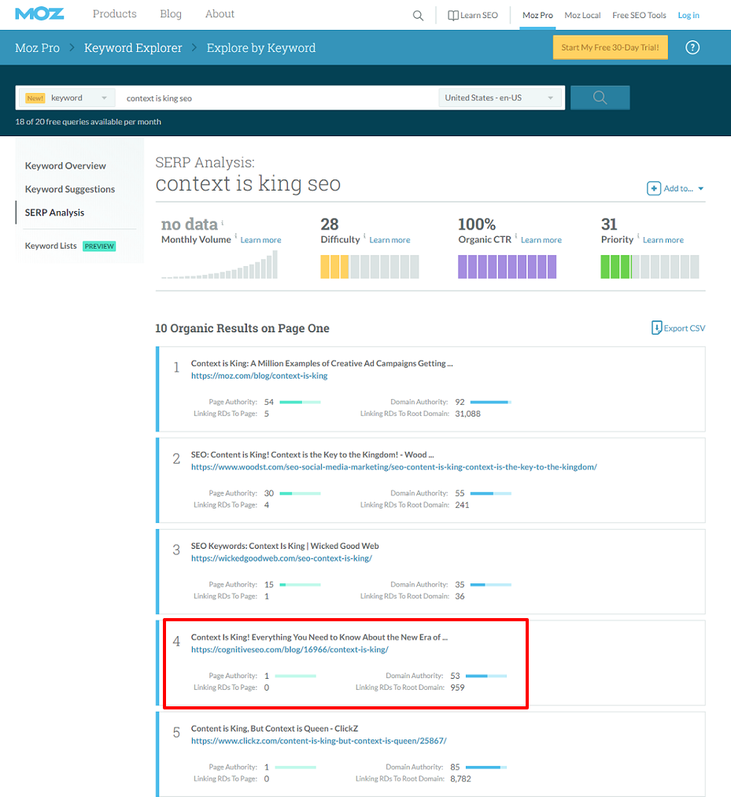 One is by using the keyword ideas available in the Keyword Explorer section, applying the “relevancy” filter or any other filter is most interesting you (such as no. of words, containing or excluding certain terms, volume of search, or CPC). The other one is by taking a peek at your competition, track competitors in the niche, and look at top 20/ 50/ 100 organic results in Google and see what keywords they ranked on. You know, all you need is know how to learn. Learning is the mother of all progress. And well-placed keywords can make you register progress within your content. What’s more, you should start monitoring at a local level. Google is returning search results as personalized and local as possible, remember? Therefore, keep in mind that you should make friends from among your closest ones. Also, start optimizing your content and monitoring your website ranking for the local market. I’m sure you once daydreamt how it is to be immortal. Or at least live a really long life. Ok, at least how it is to be in the spotlight, the queen or king of the ball. Anyways, getting back to our sheep, there’s a point I want to make here. And that is – drumrolls- you should target answer boxes, duh! Of course, as long as it is possible. Being on the Google’s answer box will do you a big favor, making you appear on Google’s first page not once, but twice. Therefore, it’s somewhat getting to know how it is to be really popular. 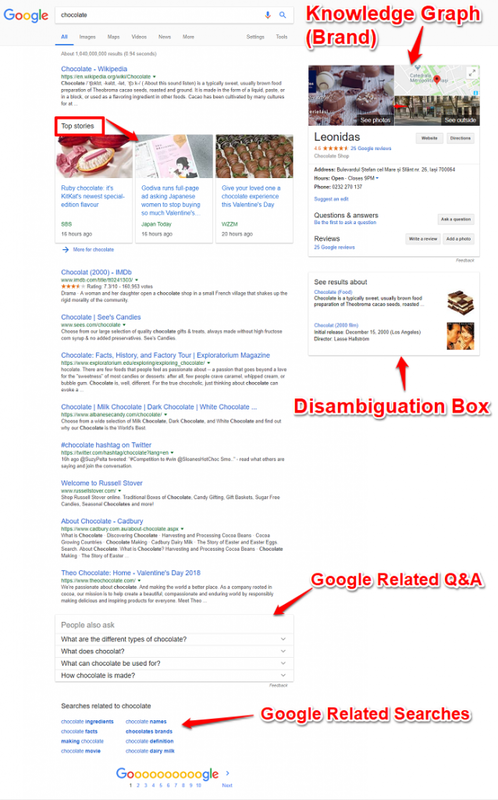 Given that the percentage of search results with answer boxes out of the total number of search results is fairly small, you should definitely use this information to your own benefit and take action. 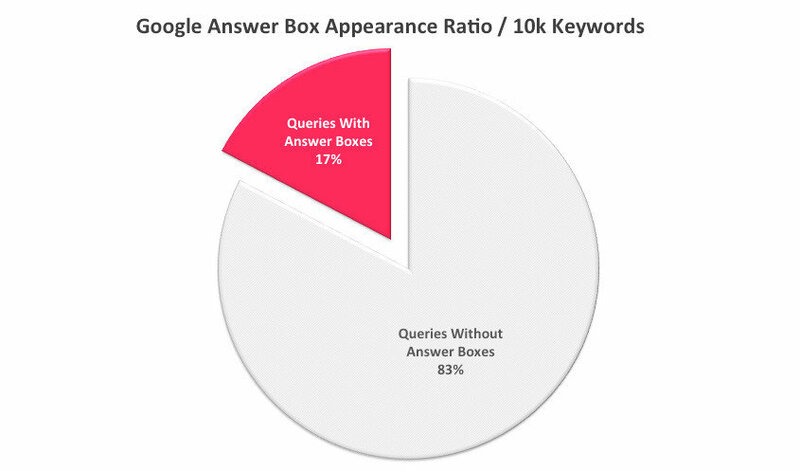 We’ve even written a couple of articles on the answer box topic, and tried to decode the Google answer boxes algorithm by conducting a SERP research on 10.353 keywords. If you want to know how to get up there, in the answer boxes, you should definitely read them. 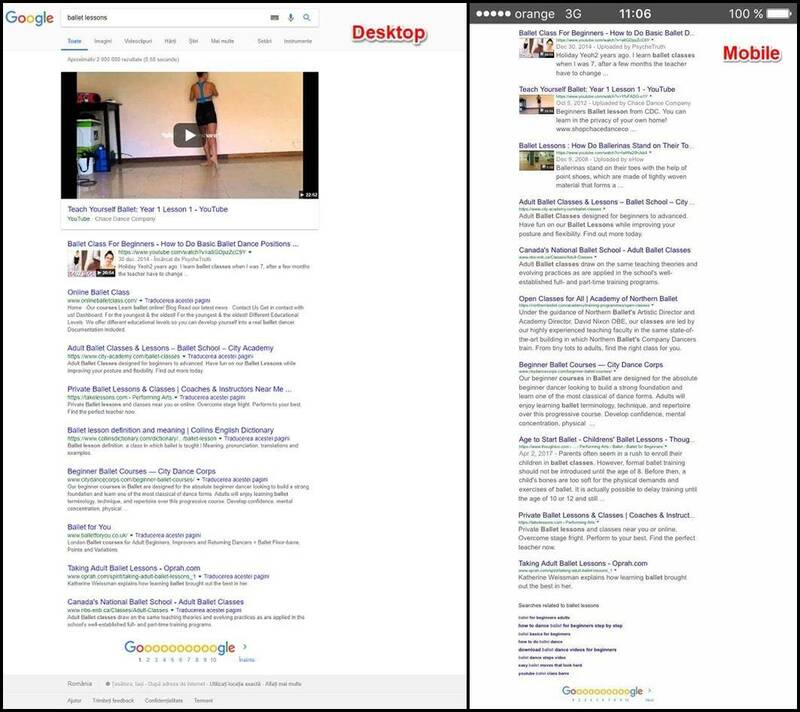 Did you know that mobile results differ from the desktop ones? Hence rankings differ. Just give it a go, search for a restaurant, or anything that comes to your mind, on both mobile and desktop, and you’ll witness a slight difference. Hence, whom should we believe? The below-displayed screenshots are here to demonstrate the fact that rankings do differ from one another, although the entered keyword is just the same. Similar to the answer box targeting tip, you should also optimize content for today’s big child star – voice search. Voice search is worth taking into consideration when talking about rank tracking because it can get the first option for the voice search bot when delivering an answer to user queries. In other words, use smart, well-performing keywords, simple language when giving tips or providing definitions, to such extent that the Google bot would return your content to questions made verbally. For more on the voice search phenomenon and whether it has any impact on the SEO world, check this article. Many ask themselves: “If Google’s free tools – such as Search Console, or Google Analytics – provide all the ranking data you need, what’s the point in using a rank tracker?”. Especially one that we should pay for. Especially now, when Google Analytics made an update and is offering a nice amount of highlight over your data. If until recently you could analyze your keyword performance and the impact of your marketing activities across all channels by taking a look 3 months behind, now you’re entitled to gain insight from the last to 12 months. Despite the previously mentioned rumors, are we really and fully satisfied with the ranking data we get from Google? Why is it that so many digital marketers tend to use one additional rank checker tool besides Google Analytics or Google Search Console? It’s because many Google tools fail at delivering accurate and fresh results. Many times they raise question marks over them. The truth is that Google Analytics, for instance, doesn’t offer complete data, but a rather extremely segmented, and therefore unreliable data. To exemplify, the keyword positions are only shown on average and not on their true spot. In addition, it looks like it’s always missing something when displaying the data; many times, it doesn’t fit with the page statistics and social media activity. Below it’s a set of screenshot meant to demonstrate the statement. The keyword we chose is “SEO myths”. We had to analyze a third result in order to decide what tool is the winner. Google is smart and cunning. They know what exact information is OK to be shared, and what’s wiser to keep for themselves. Just look at the many algorithm changes they’ve made in the course of years, many still officially unconfirmed, but tackled by many SEO practitioners – like Fred and Possum. Therefore, if Google doesn’t let you know how much traffic you are getting for each keyword; is it worth the bother to monitor them? Indeed, Google doesn’t give you access to all the data. But this shouldn’t stop you from playing the detective and do rank checking and keyword monitoring. What you can do is to check the pages with the highest traffic from your site and see the top ranking keywords for those pages. This way, you’ll know what keywords to focus on in the future. For instance, if we were to analyze Nestle’s website, by using Google Analytics we cannot find the keyword data that we need. Yet, we can do a bit of reverse engineering: we could easily analyze its top ranking pages and find what keyword are those pages ranking on. Following the previous idea that Google is penny-wise when deciding what information to convey, we can hardly know what keyword we’re actually ranking for. Hence, how should we monitor them? Besides, pages often rank for keywords that they aren’t specifically targeting. It is because Google has gotten way better with user intent, remember? So instead of ranking high for the very words you bet they’d bring you fame, you can often reach first positions for other keywords. It can be hard or even impossible to track those rankings because sometimes you don’t know what to look for. Nothing we think and said above is false. Yet, there’s a way out. Yes, you can rank for keywords you didn’t target but you can get to know which ones are those ones. 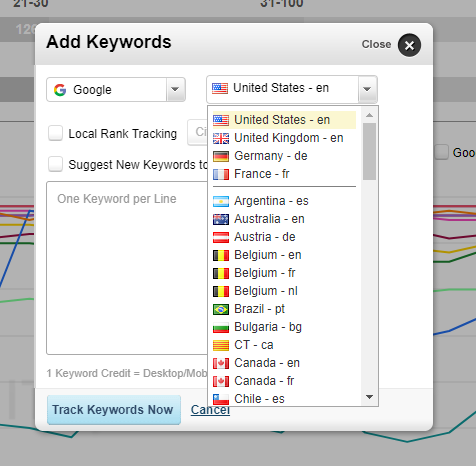 For instance, with Site Explorer you can see the top ranking keywords for any site, from any country service. 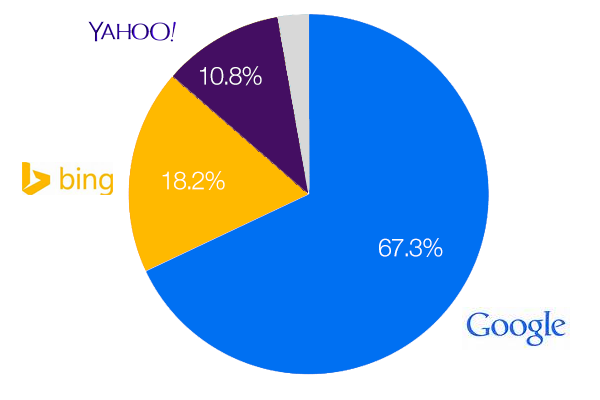 Everybody talks about Google, but Bing and Yahoo are certainly worth taking into account. It is wise that you track and increase keyword ranking across all major search engines, such as Yahoo and Bing. Even though Google is king. 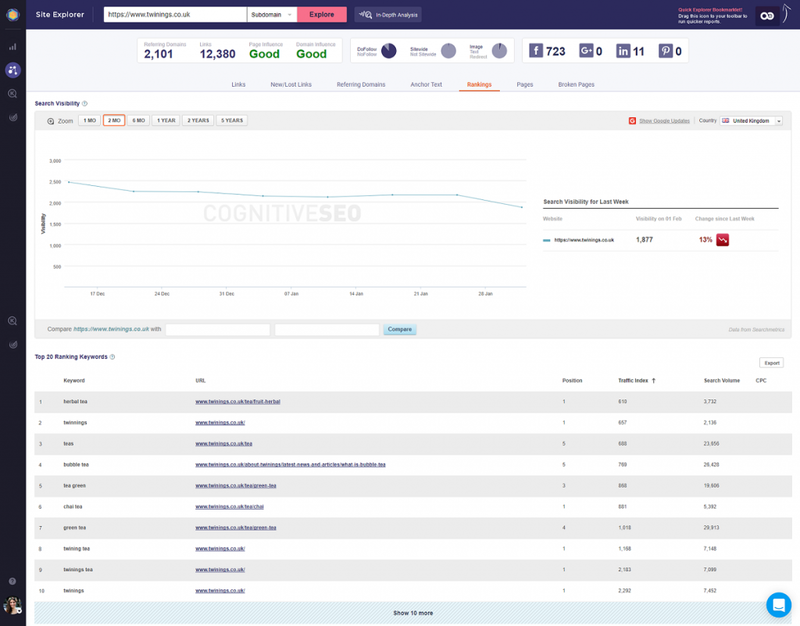 Within your own cognitiveSEO account, you can add keywords on all 3 search engines and draw some valuable conclusions from there. Is rank tracking dead already, with us not knowing it yet? Is it worth engaging in keyword ranking analysis anymore? Does it pay to invest time and resources in tracking your website position in today’s major search engines like Google, Yahoo, and Bing? Should we still bother creating rank tracking reports and building entire marketing strategies meant to place us higher in SERPs? These were the questions I woke up this morning with. I concluded we had to find the answers to these questions. Perhaps the drive comes from the fact that rank tracking is all digital marketing efforts in a nutshell. In fact, everything digital strategists, SEO analysts, content writers, copywriters, and everyone else in the online marketing environments strive to achieve is comprised inside the walls of getting up there as the first results in search engines.